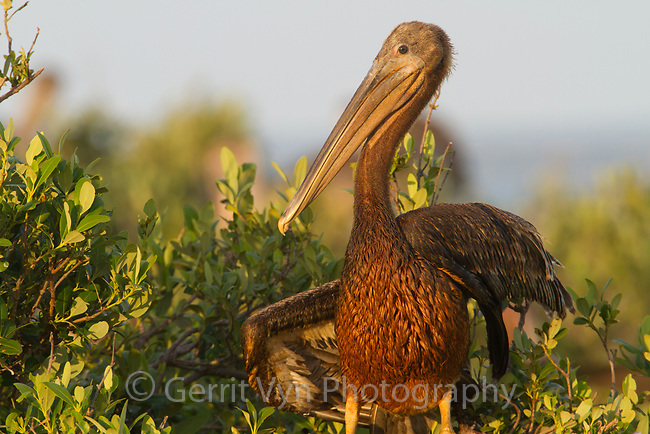 A heavily oiled juvenile Brown Pelican (Pelecanus occidentalis) sits in a mangove in the nesting colony it was born in. Birds like this have little chance of survival as they attempt to make the transition to a life of feeding themselves at sea. Raccoon Island, Terrebonne Parish, Louisiana. July 2010.